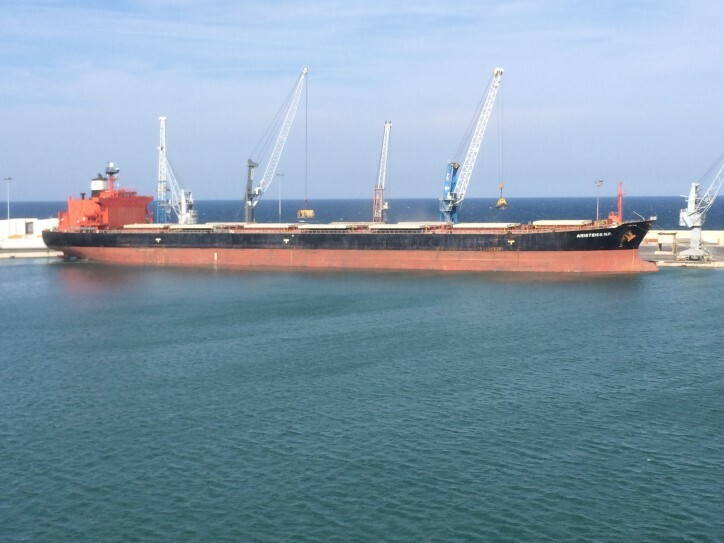 The Company announced on Tuesday the sale of M/V Despina P, a 1,932 TEU Container vessel, built in 1990, and of M/V Aristides NP, a 69,268 dwt dry bulk carrier built in 1993, to unaffiliated third parties for recycling. M/V Despina P was delivered to its buyers on December 28, 2015. M/V Aristides NP is expected to be delivered to its buyers around January 15, 2016. The Company also announced that it has signed a binding term-sheet to finance 69% of the fair market value at delivery of the Company's newbuilding, M/V Xenia, an 82,300 dwt dry bulk vessel, expected to be delivered around February 25, 2016. Upon delivery, M/V Xenia will enter in a four year time charter at $14,100/day with an option for the charterer to extend it for a fifth year at $14,350/day. The Company which has already made payments for 30% of the contracted price of the vessel will finance the remaining payment from existing funds. In addition, the Company announced new delivery schedules for its remaining three newbuildings. Delivery of its two Ultramax vessels is now expected to be in April and July 2016, respectively, a delay of five month each from the original schedule. Delivery of its second Kamsarmax vessel will be delayed by approximately fifteen months and it is now expected to be delivered between January and March 2018. Furthermore, the Company announced that it has signed a binding term-sheet to draw a loan with a three year tenor and balloon of about 65% of the loan amount to refinance existing debt on its vessels M/V Ninos, Kuo Hsiung, Cpt. Costas, Manolis P and Monica P which along with, the currently unencumbered, M/V Aggeliki P, will serve as collateral to the new loan.